Acony Games and Sony Online Entertainment have announced Bullet Run, a new MMOFPS with persistent online multiplayer game play. The game will meld the reality television show of the same name with a persistent online game world. Set in the near future, the game features the hottest new reality TV game show, Bullet Run, where performance is everything — simply gaining the kill does not win your character fame. Style and attitude, combined with a hair trigger and cat-like reflexes, will bring contestants the fame they crave. 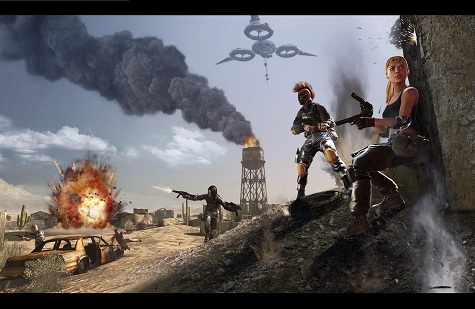 Players, also known as “Contestants,” battle to the death with ammo, weapons and attitude. With fame on the line, an array of customization options will allow players to create unique looks for their characters and ensure the style system spotlight is on them. Matches take place in a variety of settings, each of which provides a different mix of tactical options, play styles and equipment options. Through a revolutionary “Synth” technology, these reality stars will die, re-incarnate into a new body, and jump right back into the action until the match is complete. Death becomes a mere setback as players compete for fame and glory. ← BradyGames has announced that the wow power leveling !